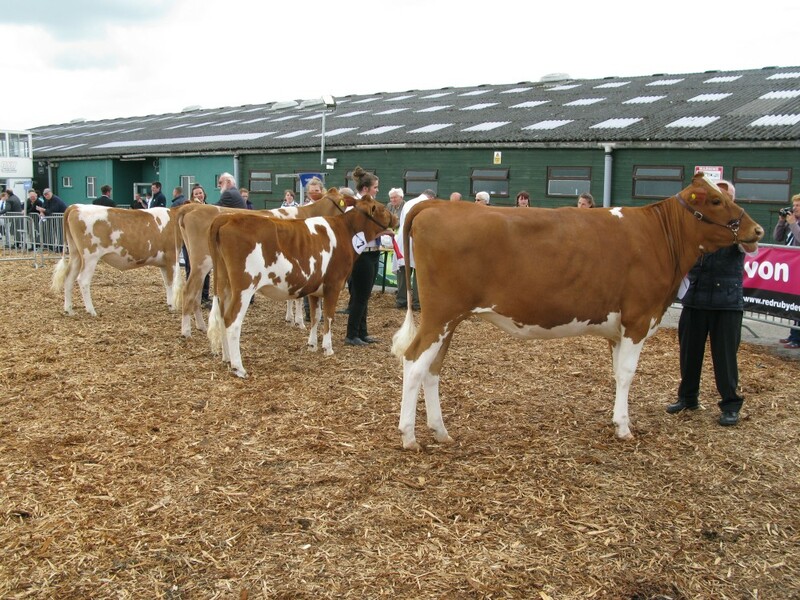 This Years Royal Bath & West Show Guernsey judging, was held on Thursday May 30th at the Showground, Shepton Mallet. Three exhibitors had 12 cattle forward for Judge David Crouch to look over. I spoke to David after the classes and here is his Show report. 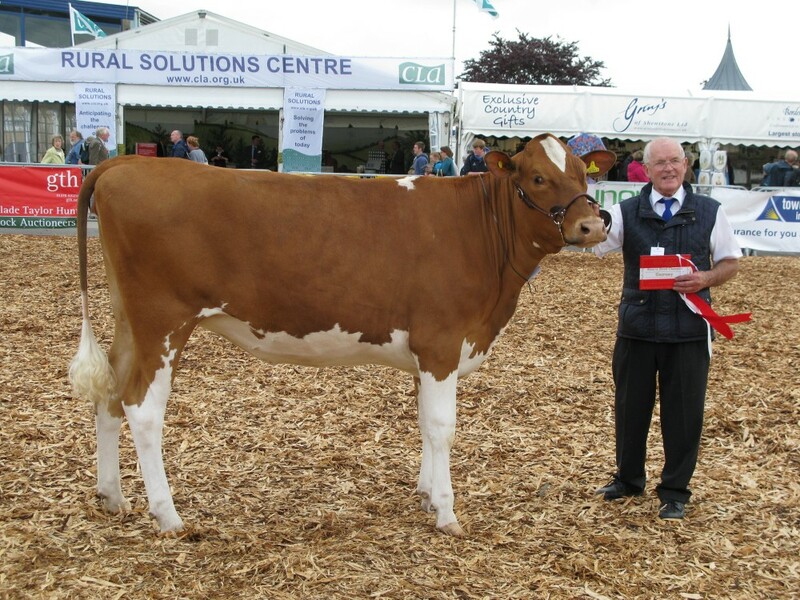 The first class of the day was the Maiden heifers and this was won by Trewey Prince Poppy 26 from Brian and Sheila Adams. 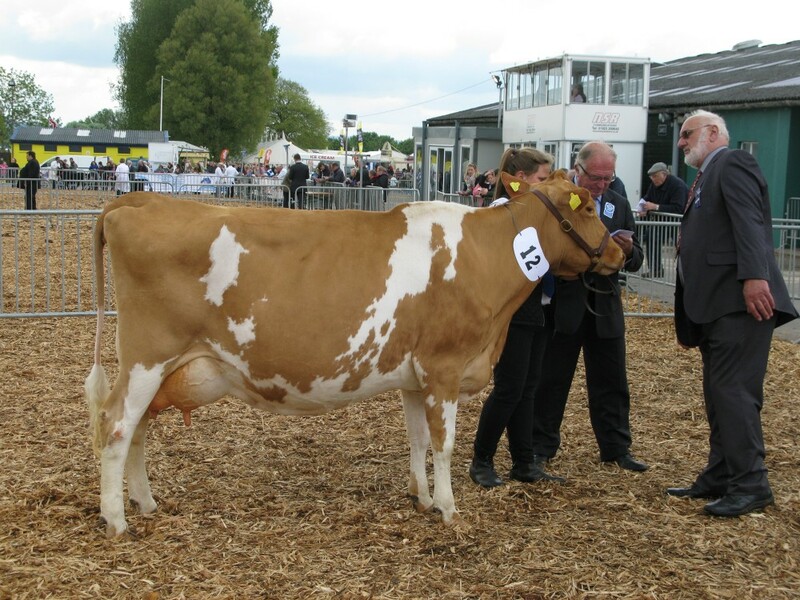 Her dairyness and cleaness of bone gave her the advantage over the second placed heifer, Graylands Meadowseeet 71st by Andante from the Parfitts who was lacking in a little chest width. 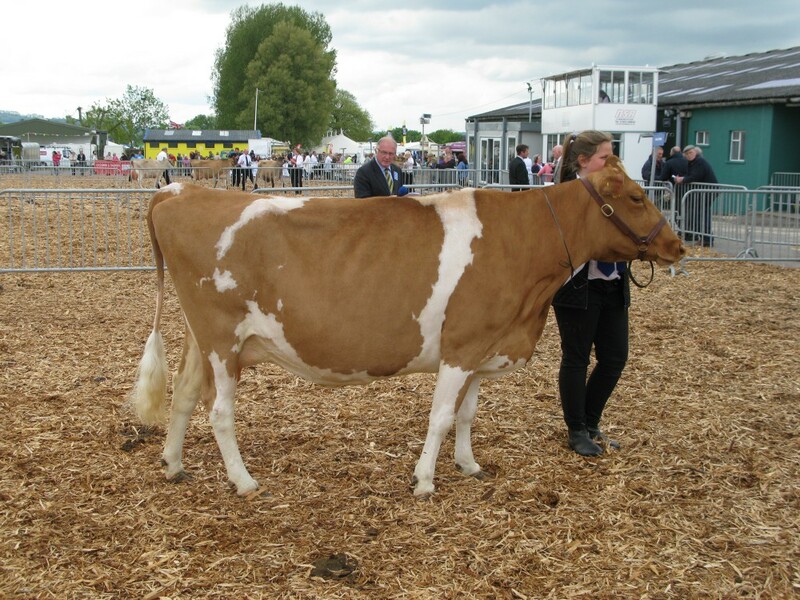 The third placed heifer again from the Parfitts, was Graylands Boucey 11th. She was another dairy heifer who just had a little more maturity over the fourth heifer from the Adams, Trewey Andante Jackie 52. 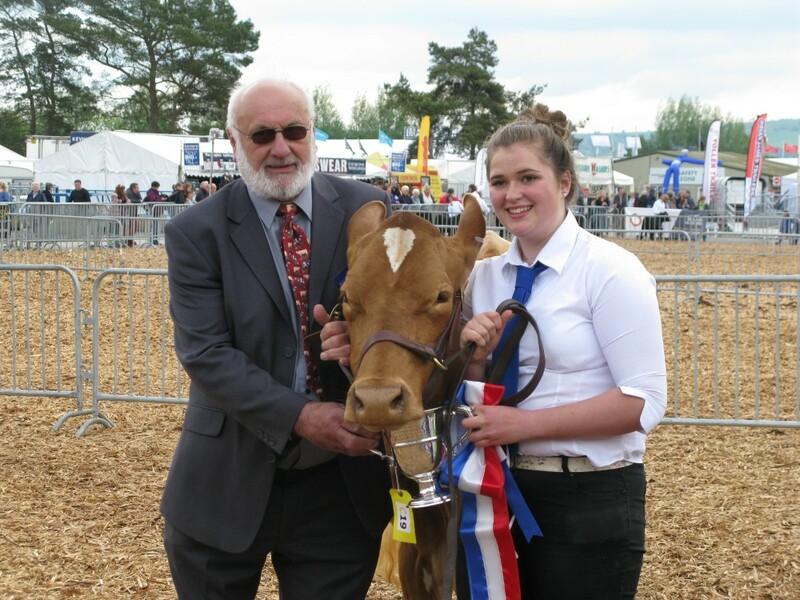 The Heifer in calf class was topped by Hamps Valley Annabelle 7th from the Addington Fund. She was a truly outstanding heifer who showed herself well with dairy strength throughout. This gave her the advantage over the second place heifer Graylands Elissa 11th from the Parfitts who was very correct, but not quite as mature. 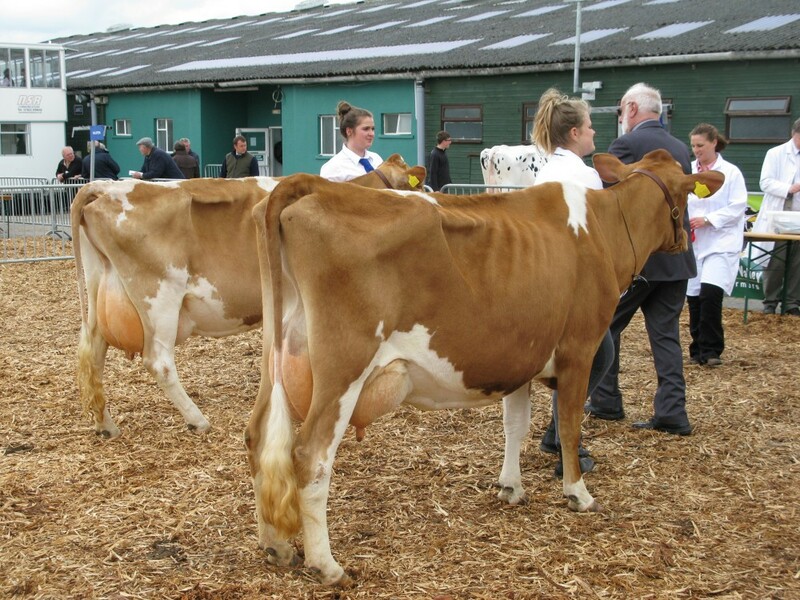 Her correctness in the teat placement gave her the nod over the extremely dairy heifer in third, Graylands Beauty 32nd. 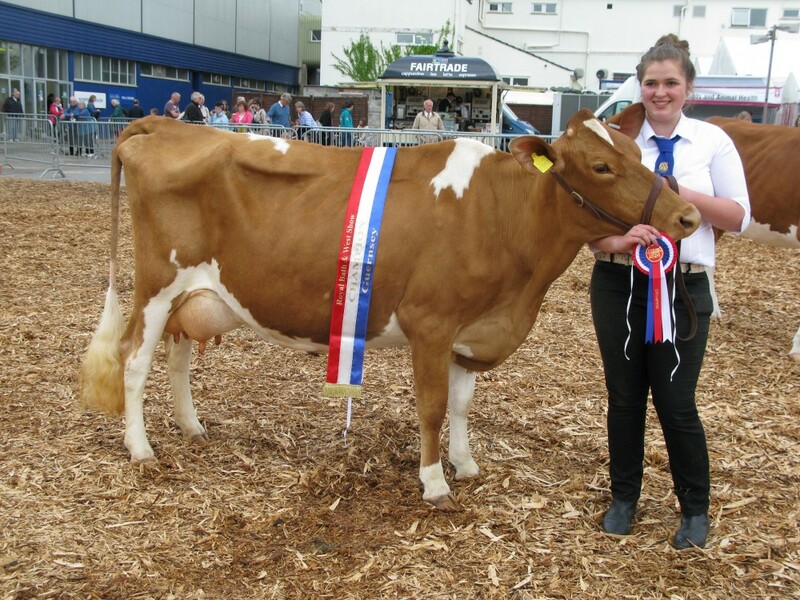 This dairyness, gave her the advantage over the fourth very correct heifer, Wiltown Claudia from the Adams. There was one cow in calf forward from the Parfitts and that was Graylands Meadowsweet 62nd a very correct 5th calver who showed excellent longevity. 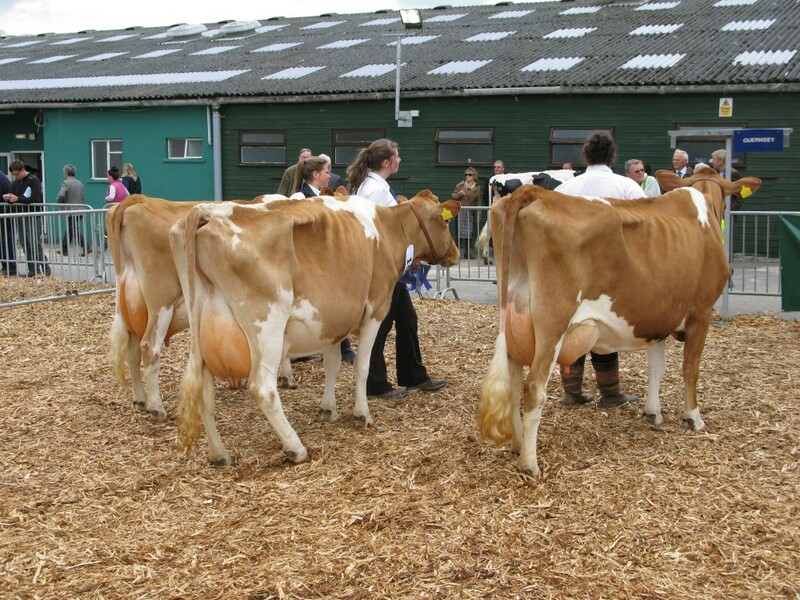 Two Junior cows were topped by the very dairy Graylands Elissa 9th who had the advantage over her herdmate, Graylands Elissa 7th, both from the Parfitts, in her superior mammary system. The only Senior cow was Graylands Huggette 18th again from the Parfitts, a very smart 4th calver who was correct throughout. The group class was won by the Parfitts with a very well matched group. They also had two pairs forward with advantage going to the more mature of the two pairs. 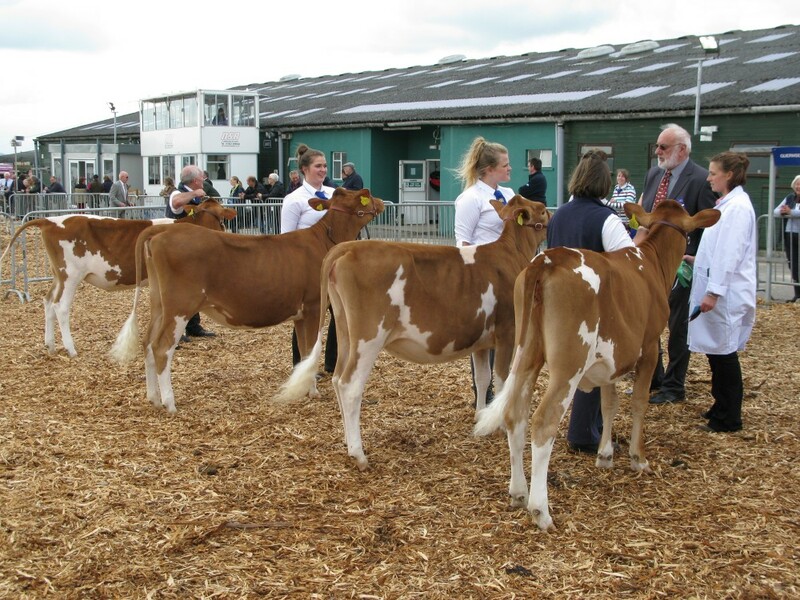 I made the Junior cow, Graylands Elissa 9th my Guernsey Champion with the In Calf Heifer Hamps Valley Annabelle a very deserving Reserve Champion. 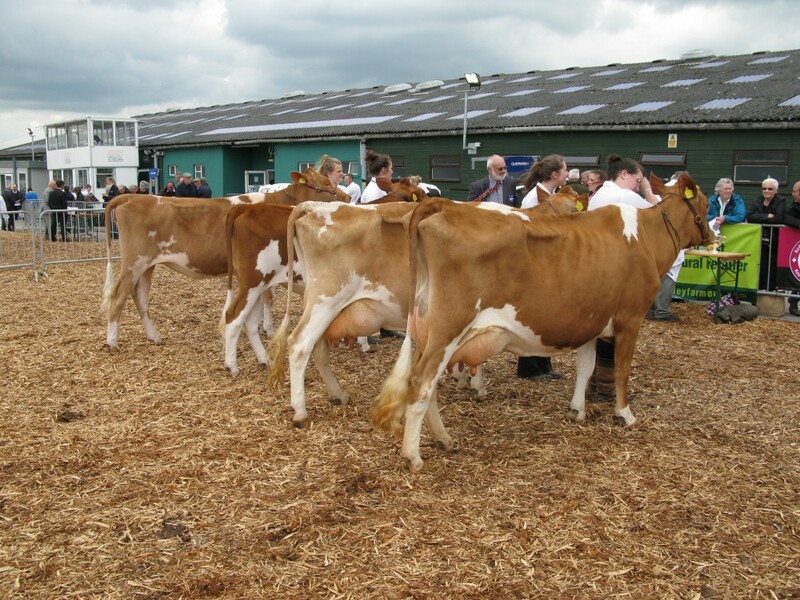 The Best Udder Shield was won by the Champion Cow and the Tom Emm Cup for the Most points was won by the Parfitt family. I would like to thank all the exhibitors, especially Colin Parfitt and his grandaughters, Jo Elissa and Justina and Brian and Sheila Adams for supporting the show during these difficult times for the farming community.